A total of 340,000 viewers tuned in to the final Selectia Nationala 2019 last night on TVR, with the show struggling against other channels. 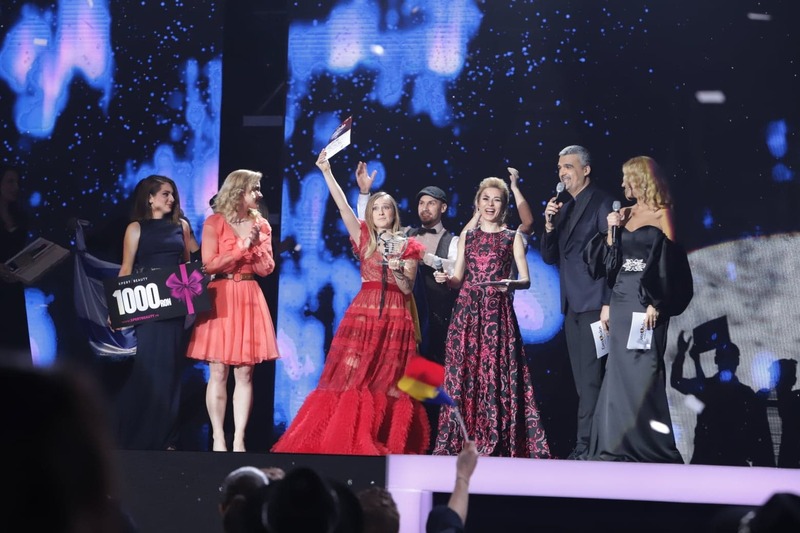 The final of Selectia Nationala 2019 was the eighth most watched show of the night in Romania. A total of 340,000 viewers watched the final live from Bucharest, with the show struggling to attract younger audiences. Only 40,000 viewers between the ages of 18 and 49 watched the show, 10 times lower than that of the most popular channels Pro TV and Antena 1. Romania will be selected by Ester Peony at the Eurovision Song Contest 2019. Ester went in to the show as an outsider to win the contest, with Bella Santiago and Laura Bretan the favourites to win the competition. Ester had placed 4th in the 2nd semi-final last week with the juries, before topping the jury vote tonight. The result this contest was 6/7 jury voting, and 1/7 public vote. Romania first participated in the Eurovision Song Contest in 1994, the country had tried to participate in 1993 but failed to get through the pre-qualifying round. At the 1994 contest Dan Bittman finished 21st in the final scoring 14 points, Romania didn’t make it through to another final until 1998. Romania’s best results in the contest are two third place finishes. In 2005 Luminita Anghel & Sistem finished 3rd scoring 158 points, while Paula Seling & Ovi finished 3rd in Oslo with the song “Playing with Fire”. Romania missed the 2016 contest due to TVR being removed from the EBU.